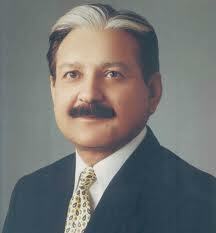 Mr. Justice Sardar Muhammad Raza son of Sardar Muhammad Yousaf was born at village Namli Maira of Abbottabad District on 10.02.1945. He passed his Matriculation examination in the Year 1958 from Government High School No. 2, Abbottabad and graduated from Government College, Abbottabad in 1962. Afterwards, he did M.A in Economics and obtained LLB degree from Punjab University in the years 1965 and 1967 respectively. He appeared in the PCS examination (Judicial Branch) in 1968 and was selected as Civil Judge. After the abolition of One Unit, his services were transferred to the Province of N.W.F.P. He served as Civil Judge, Senior Civil Judge and Additional District & Sessions Judge at different stations. In July, 1979 he was promoted as District and Sessions Judge. In 1985, while he was posted as Judicial Commissioner for Northern Areas, he toured United States of America, to study the American legal System. He also visited Japan in 1999 to attend a three months training course on the subject of ‘Corruption among Public Officials’. In June 2004, he visited Ipoh—Kualalumpur, Malaysia in connection with an International Seminar on the issue of “Human Rights and Independence of the Judiciary”. In 2009, he attended a Seminar on Criminal Justice System in Dacca Bangladesh. In 2010, he visited Royal Institute of Public Administration (RIPA) UK to attend a course on the Judicial Administration. He has also observed the US Presidential Elections in 2016. He also remained Special Judge, Customs, Taxation and Anti-smuggling, wherefrom he was elevated to the Bench on the 14th of December, 1993 as Additional Judge, Peshawar High Court. He was eventually confirmed as Judge of Peshawar High Court in June, 1995. He was appointed as Chief Justice of Peshawar High Court on 25th of April, 2000. During this time, he twice served as acting Governor N.W.F.P. He served as Chief Justice of Federal Shariat Court of Pakistan from 5th June, 2014 to 5th December, 2014. He took oath as the Chief Election Commissioner of Pakistan on 6th December, 2014. Under his supervision, the Local Governments Election 2015 and first ever elections for Islamabad Capital Territory and Cantonments Boards were held. He is leading wide ranging reforms within the ECP which are widely acknowledged.